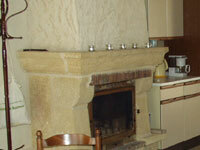 Do you like to have your holiday with family or friends in the Dordogne? Are you looking for a comfortable holiday home with privacy? And do you love horseback riding? 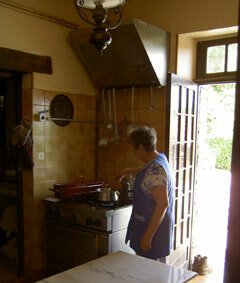 Then a cottage on our domaine is something for you. You are your own boss, but can also take advantage of the possiblities of Domaine des Garennes. Besides horse riding you can take a swim, play tennis or squash. And you can lunch or dine at our excellent table d’hôte. 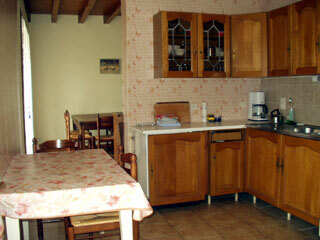 You can choose between two cottages: a cottage for 2-4 people and a cottage for 2-8 persons. This cottages has a living room with fireplace, a kitchen and three bedrooms. Each bedroom has got it’s own bathroom with shower, toilet and sink. One bedroom has three beds (one bunk bed and one single bed) and there are two bedrooms both with a double bed. In the living room there is a sofa bed. There is a washing machine and dishwasher. Sheets, blankets and towels are provided.